I have had some excellent crab cakes in Maryland. I have enjoyed the colossal large lump crab cakes at G and M Crabcakes in Linthicum Heights, by BWI. 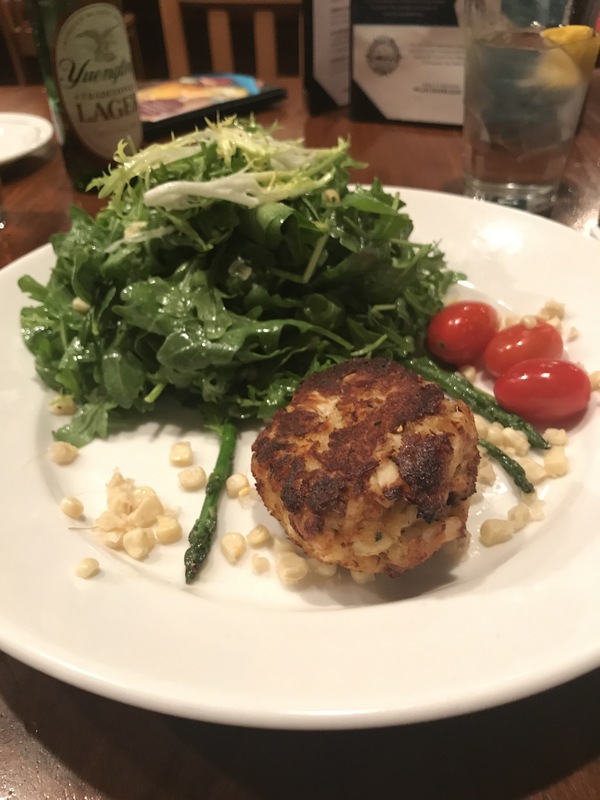 More recently I enjoyed a refined crab cake at Woody’ in Northeast Maryland. I was introduced to G and M by my good friend Jason. G and M is one of those local places that people use as the gold standard for food. You may see people having dinner celebrating an anniversary or a birthday. G and M is always busy in the evening. Go early for dinner or you can eat in the take out section. G and M also has a huge business shipping crab products around the world. I sampled the Phillips crab cake with salad the crab cake was a four-ounce crab cake served with greens, asparagus, and corn. The crab cake was fresh Blue Crab and nicely spiced with Phillips own Seafood Seasoning. The greens in the salad were nicely complemented by a light vinaigrette. The corn was surprisingly tasty with the salad. 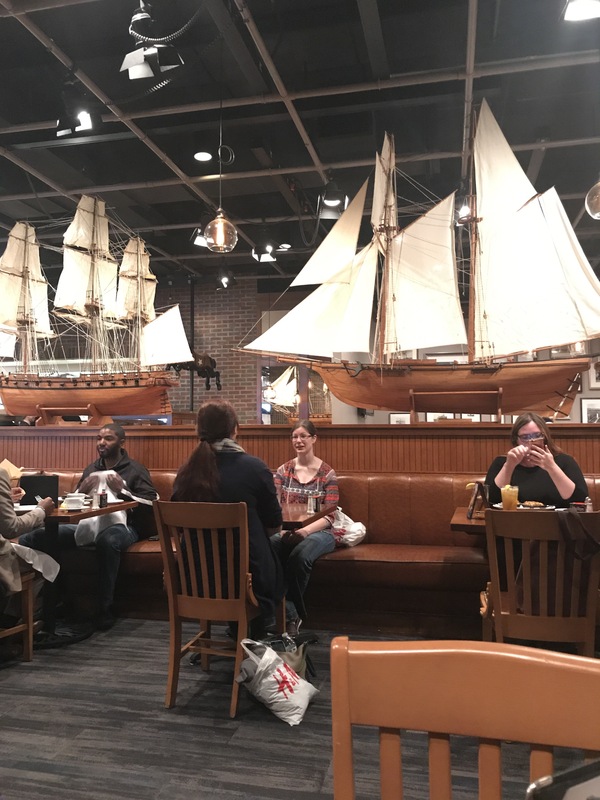 Phillips Seafood restaurant is a comfortable setting for lunch or dinner. Service was prompt and courteous. The wait staff was well informed about the food and ingredients. An extra mark for the wait staff (Heather and Nick). I discovered Woody’s by following a highway sign on Route 95 South at Exit 100. Woody’s is a real local restaurant for the crab experience. Woody’s covers the tables with paper and serves up fresh blue crab in all forms. They also have King Alaskan crab and crab soup. I find crab a lot of work for the yield compared to lobster. I recently tried the crab sampler to get some crab meat and save myself the frustration of picking a crab and lacerating my fingertips on sharp, gnarly crab shells. ‹ PreviousMontego Bay Jamaica Sun, Fun and a New Business. A trip ou Can Deduct!